Offices for a burgeoning young investment firm were created on the fifth floor of this fifth avenue building. 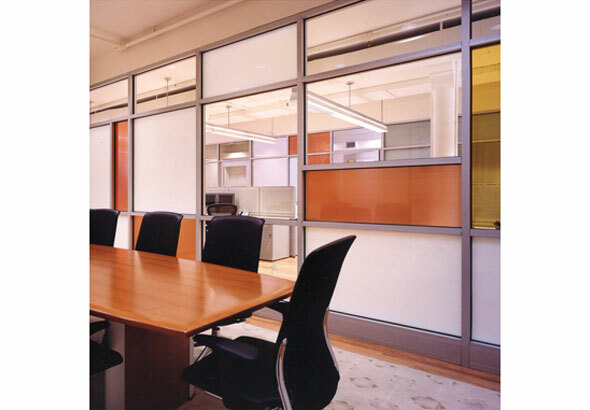 Colored, transparent and translucent glass walls were organized across the floor to create offices, conference rooms, trading spaces and a reception area to maintain a loft-like feeling. 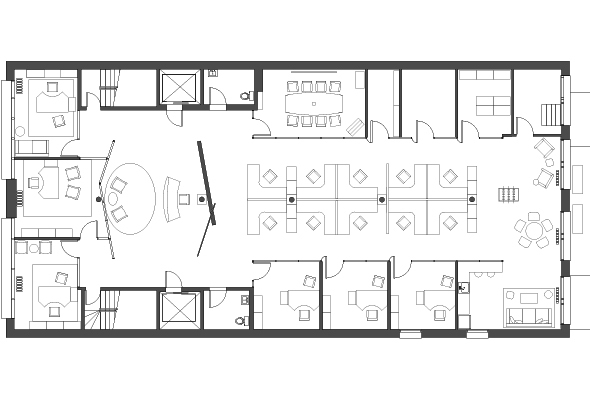 Work stations were set into the center of the scheme and clear glass walls enclosed the partners' offices with large windows facing Fifth Avenue.